A nurse died from heart failure brought on by the shock of her alarm clock going off, an inquest has heard. 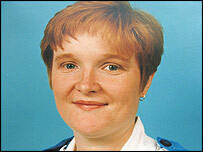 Lisa Browne, who was originally from Stoke-on-Trent, died suddenly in her bed in 1998. She was 27. An initial inquest was unable to determine the cause of death. Experts later found she had a heart disorder. Her family, from Flintshire, called for a fresh inquest. Cheshire Coroner Nicholas Rheinberg recorded a verdict of death by natural causes. Heart specialists in London, who investigated the case last year, confirmed the paediatric nurse was suffering from Long QT Syndrome. The rare condition affects the electrical system of the heart which can cause sudden unexplained death in young people. The attorney general ordered a fresh inquest and the original verdict, given in August 1998, to be quashed. 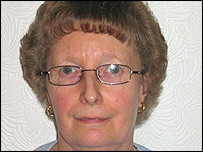 The inquest at Warrington on Friday was told Mrs Browne was unaware she suffered from the condition. The court heard that the nurse, who worked at the Countess of Chester Hospital, suffered from extreme exhaustion in the last three years of her life. She complained on a number of occasions to her GP, who prescribed her a low dose of an antidepressant which she took for a few months from October 1996. The antidepressant should not be taken by anyone suffering from Long QT syndrome, the inquest heard. Mrs Browne's husband Stuart, 38, from Ellesmere Port in Cheshire, told the inquest he found his wife dead in bed at around 0700 GMT on 10 January 1998 after she failed to wake up for work. Cardiac expert Dr Elijah Behr, from St George's Hospital in London, concluded the alarm clock shocked her to death. He said: "Lisa Browne died suddenly in bed, probably after her alarm went off, waking her suddenly." Coroner Mr Rheinberg said: "I'm satisfied now from the totality of the evidence that the cause of Lisa's death has been found and diagnosed. My formal verdict is that Lisa Jane Browne died from natural causes." The nurse's mother Doreen Harley, from Connah's Quay, has always suspected her daughter died of the hereditary disorder and campaigned for the inquest into her death to be reopened. Speaking after the inquest, Mrs Harley said she hoped her eight-year battle to discover the real cause of her daughter's death would help save the lives of others. Following Lisa's death, it was discovered that her father Terry, 61, her sister Rachel, 33, and her nephews Jack, 9, and Adam, 6, all had the Long QT Syndrome. They have all received treatment and are living normal lives. Mrs Harley called on the government to provide screening for young people to diagnose heart problems. She said: "Long QT Syndrome has affected five members of our family over three generations. "An ECG test could well have saved Lisa's life. "All of the causes of sudden young cardiac death, many of which are genetic, are treatable once diagnosed and most people are able to live a relatively normal life."